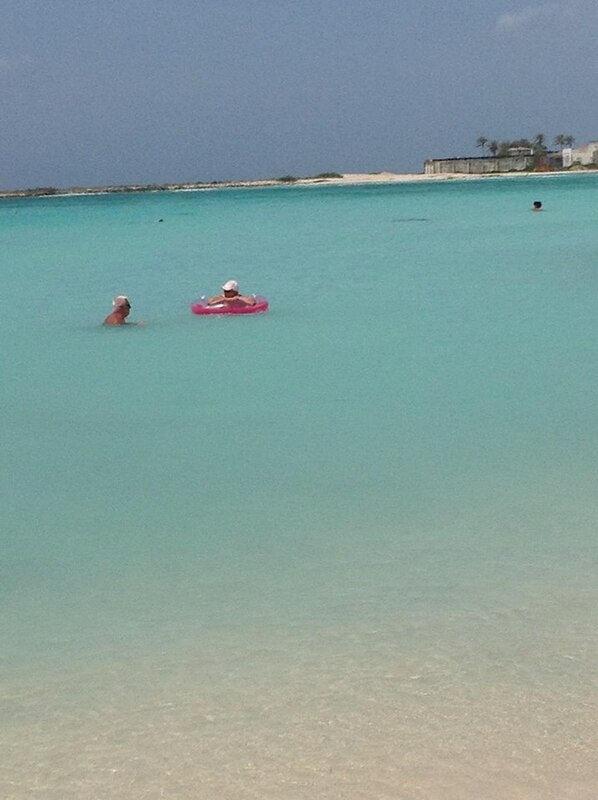 So I previously mentioned how I was undecided if I wanted to take my dad’s ashes to Aruba to spread in the ocean. 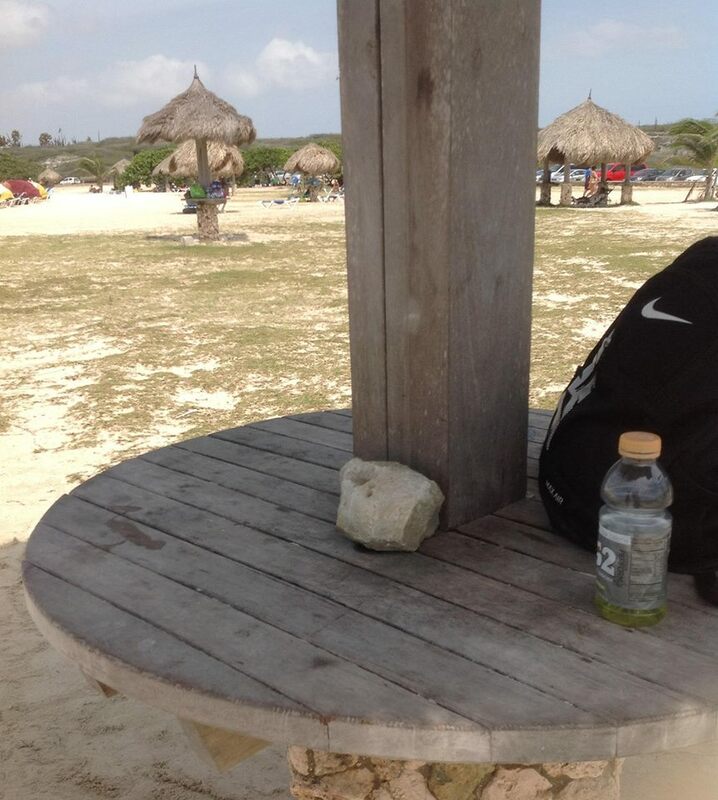 I decided I wanted to keep them with me, but Pat and I did find another way to bring my dad to Aruba in some way. The morning that we were going to leave for Aruba, Pat told me he thought of something special we could still do for my dad, even though we weren’t going to take his ashes with us. 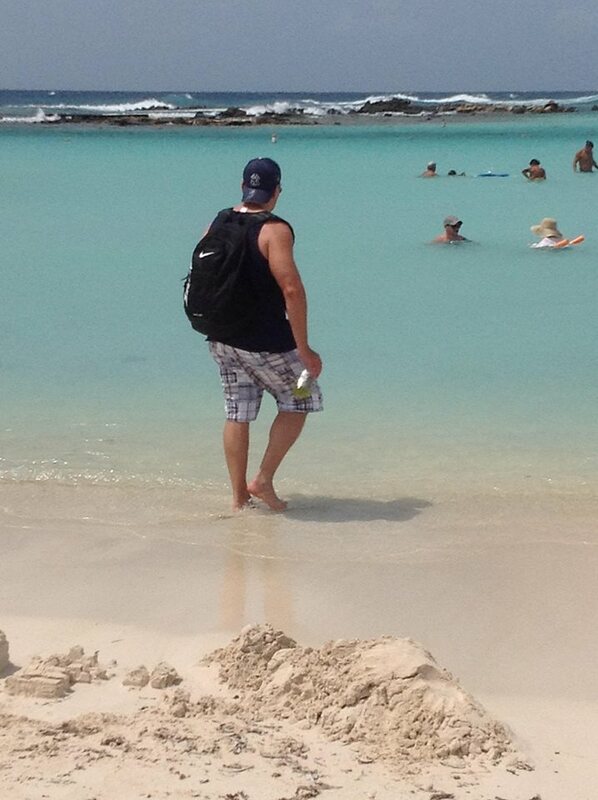 He had the idea of taking pictures of my dad to leave at various special spots in Aruba. I thought this was a great idea. 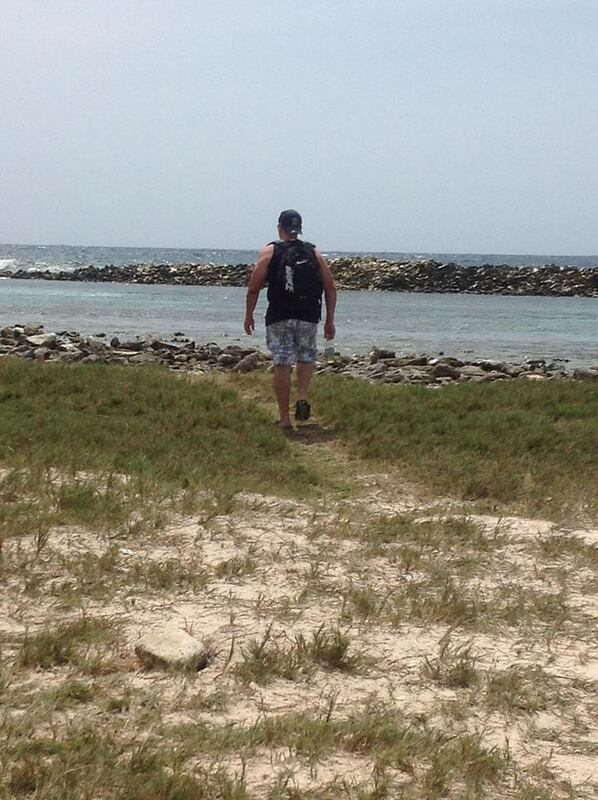 We rented a Jeep for the day and drove around to some of our and my dad’s favorite spots in Aruba. Our first stop was Baby Beach, which my dad LOVED. It is absolutely beautiful. I have great memories of going to Baby Beach with my parents and sister when I was younger. Baby Beach has several huts all along the water and we were able to put a picture of my dad inside one of the huts. Another spot that we went to was Charlie’s Bar. 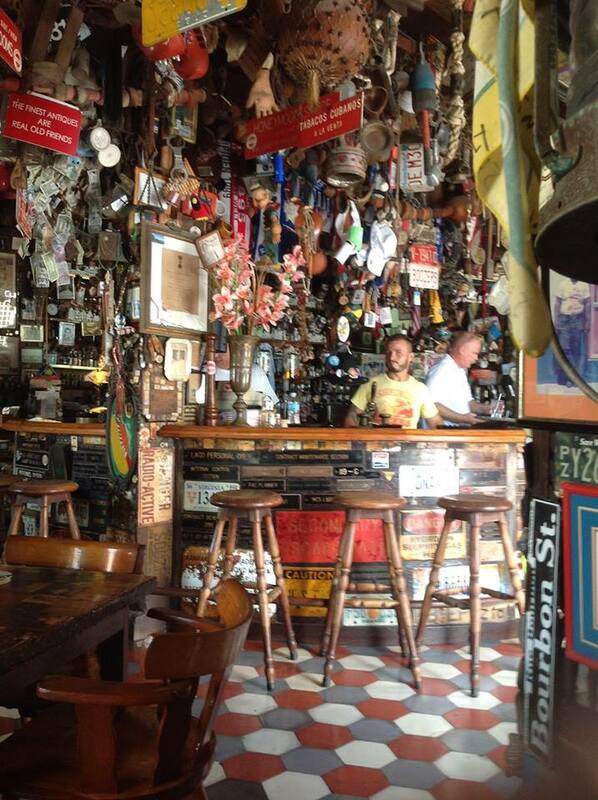 Charlie’s Bar & Restaurant was founded on September 18, 1941 by a Dutch couple, Charles and Marie Brouns. Charlie’s Bar is recognized as one of the Top Ten Bars in the Caribbean. Many people that go there leave little things behind to show they were there: plaques, awards, photographs, address labels, license plates, etc. 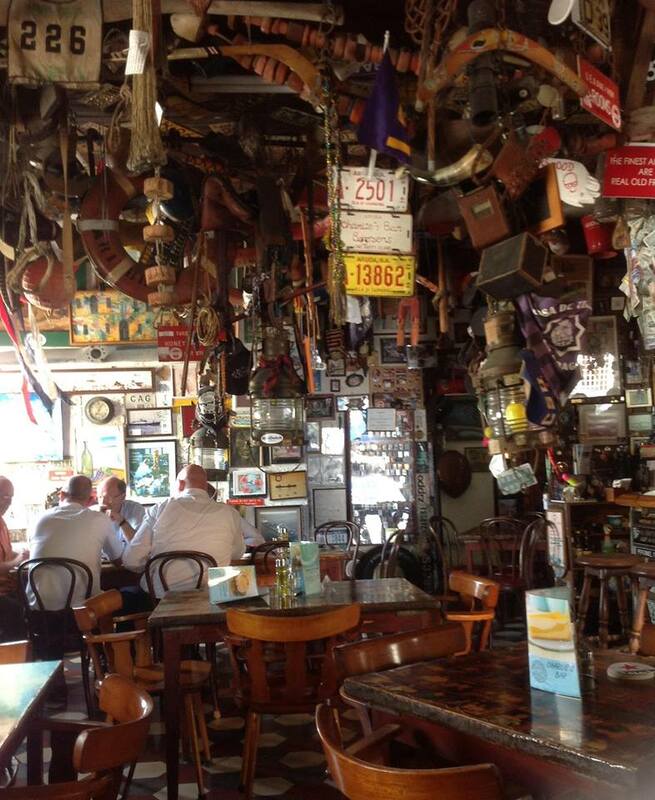 The bar is literally filled with items that people from all over the world have left there. 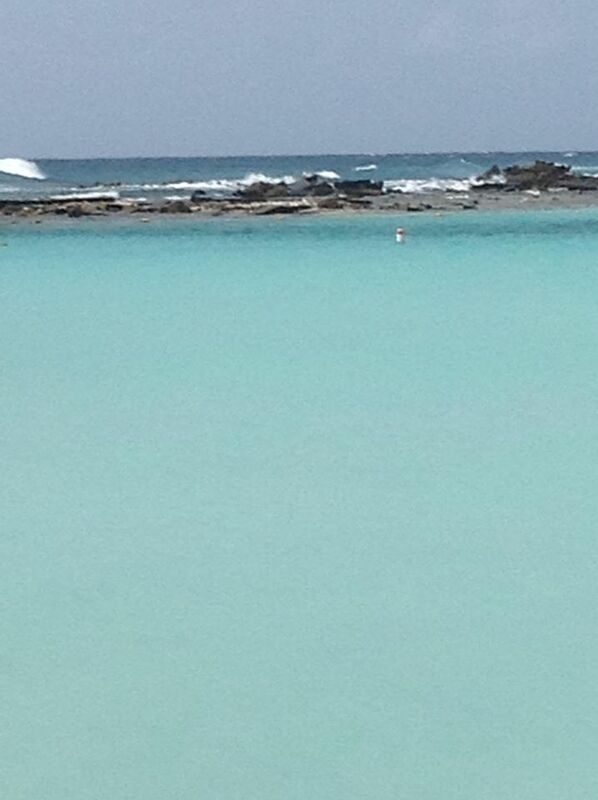 My mom and dad went there together on their first trip to Aruba and told my sister and I about it. We thought this would be another great spot to leave a picture of my dad. 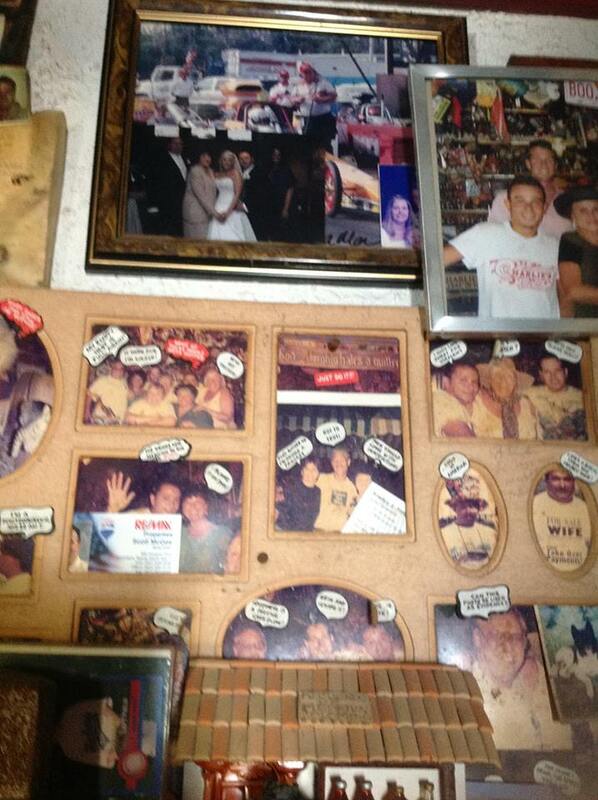 We asked the owner of the bar (who was super nice) where we could put a picture we had. He told us to write a message on the back of the picture. I was very emotional, so Pat wrote the message on the back: Dad, now a part of you will always be in Aruba. Love, Lisa and Pat. The owner then put the picture up on the wall for us. 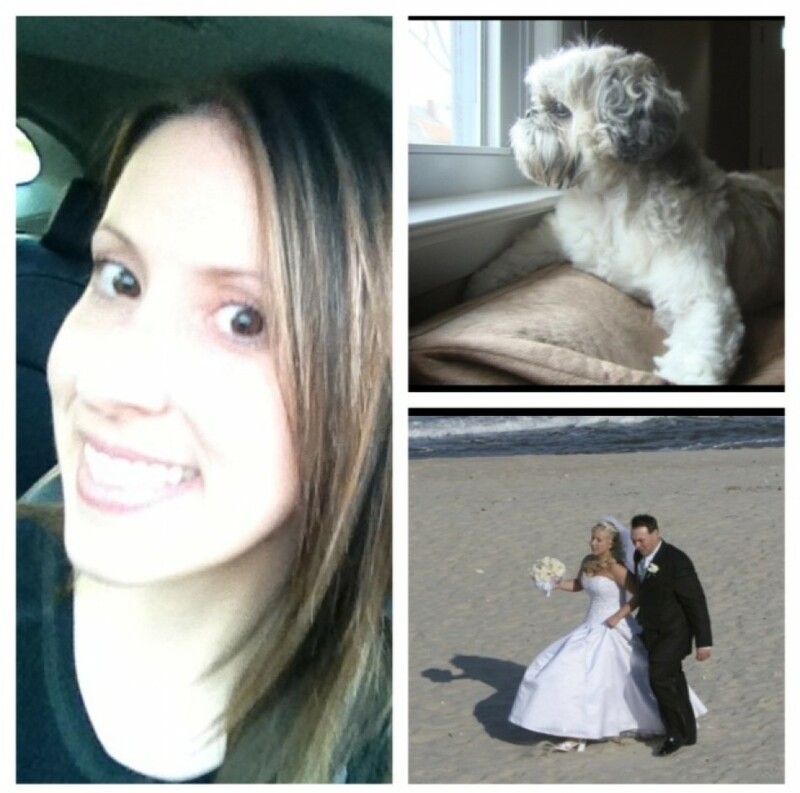 On the top left corner of the top frame, is a wedding picture of Pat and I with my parents and sister. So, while we did not take my dad’s ashes to Aruba (at least not now), we did find a special way to bring part of him with us. this is too sweet n thoughtful…. love how you were able to make your dad part of thr trip and from the sounds of it- he loved Aruba so it was a perfect place to make some (new) memories, and cherish the old ones, with him. What a beautiful and thoughtful post! Your dad sounds like he was a wonderful man, and it’s great that you listened to your instincts on where and when to part with his ashes. You’ll know in your heart when the time/place is right, and until then, you’ve got as much time as you need. Hugs to you, and have a great weekend!